Senate leaders unveiled portions of a 2015-17 budget proposal Monday that gives teachers an average four percent pay raise and lowers class sizes in the early grades— but much like last year’s initial Senate proposal, the budget would also substantially gut funding for teacher assistants by eliminating more than 8,500* TA jobs over the biennium. The Senate plan also spends considerably less than the House proposal on teacher pay raises with the bulk of the new funding targeted toward early career teachers. The highest percentage salary increase would go to a teacher with four years of experience, while veteran teachers with 25 years’ experience and on would see no raises at all as their base salaries would be capped at $50,000. Read on for a breakdown of the Senate’s initial education budget, which lawmakers will begin debating in committee Tuesday morning. At an early afternoon press conference on Tuesday, Senate leader Phil Berger (R-Rockingham) and Senator Harry Brown (R-Jones, Onslow) touted the Senate’s proposal to reduce class size for grades K-3, adding 2,000 classroom teacher positions to the state’s rolls next year. Noting that research supports the notion that students do better in early grades with smaller classes, the Senate proposes increasing funding for classroom teacher positions by more than $270 million over the biennium to reduce class sizes in kindergarten to a 1:17 ratio and in grades 1-3 to a 1:15 teacher-student ratio. But the reduction in class size comes at a cost. In exchange for more teachers, Senate budget writers are proposing pink slips for more than 8,500* teacher assistants statewide over the next two years. Last year, teacher assistants’ jobs were at the heart of the budget showdown. The Senate initially proposed laying off all teacher assistants in the second and third grades in order to pay for hefty teacher pay raises—but after intense negotiations, they backed off their proposal though the final budget resulted in a reduction of teacher assistant positions varying from district to district. And that came on top of several large cuts to teacher assistant funding over the past several years—the state already has 7,000 fewer TAs than it did in 2008. As with last year, the House’s 2015-17 budget proposes saving TA jobs—and there is likely to be another showdown on this line item yet again. And a side effect of the move to cut TAs? Teacher assistants often double as school bus drivers. For example, 50 percent of Catawba County’s bus drivers are teacher assistants—which means laying off a huge chunk of TAs would make for a very big challenge to get students to school. 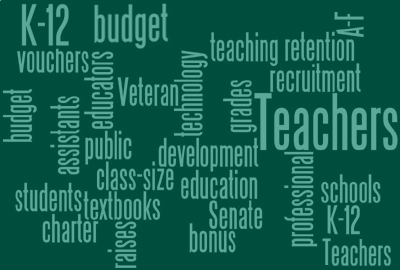 The biggest chunk of the Senate’s proposed teacher pay increases comes for early career teachers. Beginning teachers would see their starting base pay bumped up from $33,000 to $35,000—making good on a promise made to teachers last year when GOP lawmakers said they’d raise starting teacher pay up over a two year period from a career-entry salary of $30,800 to $35,000. The House and the Governor have the same proposal for raising beginning teacher pay to $35k in their budgets. In parsing out that scale, the largest percentage increase would come for a teacher moving to the fourth year of experience to the fifth — a 16 percent raise. But as was the case last year with the Senate’s initial proposal, veteran teachers would be ignored— those with 25 years and on would receive no raise, with their salaries capped out at $50,000. The House proposal is more generous to veteran teachers, offering them two percent raises by lifting the $50k cap. Notably, the Senate proposal provides no funding going forward to pay teachers a salary supplement for obtaining master’s degrees. The House proposal would continue to provide a pay bump to those who obtain master’s degrees in the disciplines in which they teach. 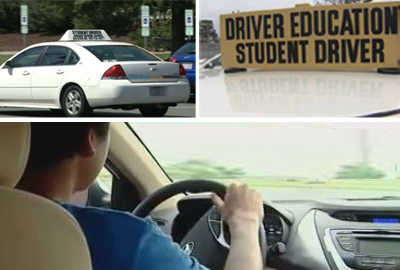 Driver’s ed would move to the community colleges by 2016. State funds for driver’s education are slated to dry up beginning this fall — and while the House proposed to keep funding this program that is run by local school districts, Senate leaders want to move the responsibility of providing students with driver’s education to community colleges by 2016, and they have no plan in place yet to fund the measure. In the interim, local school districts would run driver’s education programs for one more year beginning this fall—and families would have to bear the full cost of driver’s ed, an estimated $300 plus. The Senate wants to require local school districts to come up with improvement plans for schools that receive Ds or Fs under the state’s new school grading system—but they offer no funds in order to help local schools implement the plans. “We believe money is not the answer,” said Sen. Brown, explaining instead that districts must identify other ways to deal with factors that contribute to poor performance at failing schools. The Senate budget also does not include language that would change how schools receive A-F school grades, in spite of interest expressed on both sides of the aisle for the school grading system to be amended so that the grades better indicate how well schools are able to help their students improve academically over time. If the A-F grading system remains as is, by and large high poverty-serving schools with fewer resources would continue to receive failing grades while schools that serve higher income populations would receive better marks. Like the House, Senate lawmakers want to expand the Opportunity Scholarship program (school vouchers) by $6.8 million, bringing the total cost of the program to $17.6 million each year of the biennium. But they also went one step further than the House, making the funds recurring going forward. The money would be contingent on an impending state Supreme Court ruling that will decide if the program that allows students the option of taking public funds to attend private schools passes constitutional muster. Like the House proposal, students with disabilities would be able to take advantage of a separate existing voucher plan to use up to $8,000 state funds annually to attend private schools—that’s up from $6,000 annually in prior years. Families could also get tuition funds up front versus having to wait for reimbursement. Enrollment growth is fully funded for higher education with the Senate plan, but UNC would still face a management flexibility cut of $17.9 million each year of the biennium. Community college tuition would go up $4 per credit hour. Senators want to provide Western Governors University with a “challenge grant” — if the private, non-profit online school can raise $5 million dollars, the state will match that with $2 million so they can set up shop in North Carolina. 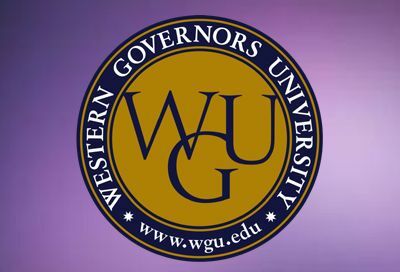 WGU would allow low-income students to get state aid to attend the virtual university that provides college credit to those who can successfully pass competency-based assessments. $58 million over two years for textbooks and digital resources—less than half of what the House has proposed. Funds for textbooks have been slashed to the bone over the past five years and House and Senate proposals still do not restore textbook funds to their 2011 levels. $12 million to fully fund the Excellent Public Schools Act, which includes tutoring funds for Read to Achieve so that students can become reading proficient by the fourth grade. Another 10 percent cut to the Department of Public Instruction (DPI received a 10% cut last year as well). 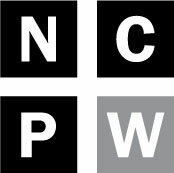 Unlike in the House proposal, no funds appear to be slated for Parents for Educational Freedom NC (PEFNC), a private nonprofit that hopes to receive $2 million over two years to run a program aimed at expanding charter schools across the state. Elimination of General Fund support for the Hunt Institute, a think tank founded by former democratic Governor Jim Hunt that works to develop statewide education policy solutions. When asked why Senators cut funds for Hunt, Senator Barefoot explained he had no idea what the think tank even does. The teacher licensure section of DPI would be eliminated and moved to a new entity that would exist directly under the State Board of Education. Lengthy policy changes on teacher preparation programs exist in the Senate budget proposal, along with policy changes that affect how local school districts are expected to comply with the Leandro ruling that requires all students to receive a sound basic education. Members of the full Senate budget committee will meet Tuesday morning at 8:30 am to begin hacking away at the initial $21.47 billion pitch. 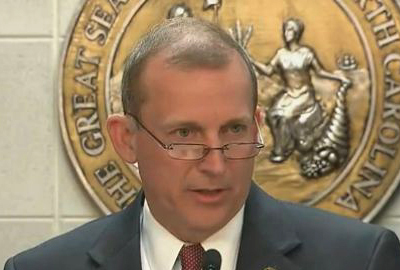 Look for tweets and blog posts from @LindsayWagnerNC as the Senate plan takes shape. Senators are expected to vote on a final budget by week’s end, and then set to work with the House on a final compromise this summer. *This story was updated to reflect that the number of TA position cuts are not additive. This year, the equivalent of 5,289 teacher assistant positions would be eliminated with the Senate budget plan, and in 2016 that number of eliminated positions would increase to 8,592. Those two figures would not combine to total 13,882 eliminated positions. We regret the error.